Many of the books reviewed here were recommended to us by transformative learning expert Aaron Stern, from the Academy for the Love of Learning. Others have come to us through friends, media, studies, and serendipity. They are listed here in alphabetical order, by author’s last name, and followed by short, subjective reviews. (Fuller reviews and descriptions can be found online.) Books marked by an asterisk are housed in the Academy for the Love of Learning’s library in Santa Fe, NM. *Bale, Jeff and Sarah Knopp, eds. Education and Capitalism: Struggles for Learning and Liberation. Haymarket Book, Chicago. 2012. *Birdsey, Tal. A Room for Learning. St. Martin’s Press, New York. 2009. *Bloom, Benjamin, ed. Developing Talent in Young People. Ballantine Books, New York. 1985. Bruner, Jerome. The Culture of Education. Harvard University Press, Cambridge, MA. 1994. *Bowles, Samuel and Herbert Gintis. Schooling in Capitalist America. Haymarket Books, Chicago, IL. 1976, 2011. Chamberlain, John. The Heart of the Matter: Diary of a School Year. Ginger Plum Press, Santa Fe, NM. 2001. Counts, George S. Dare the School Build a New Social Order? Southern Illinois University Press, Carbondale. IL. 1932. Republished 1978. *Cowan, Donald. Unbinding Prometheus. The Dallas Institute Publications, Dallas. 1988. Cowan was a physicist, university professor and staunch defender of the value of a liberal education. He’s also a very good writer, if a bit old-fashioned in style, which makes this collection of essays worth a read. He frames education in terms of human archetypal myths: Prometheus transgressing against the cosmic order by gifting intelligence and technology to humanity, Faust’s foolish quest of know-how instead of wisdom, and King Prospero’s education on the island in The Tempest. I found his chapter on the “Three Moments of Learning” particularly relevant to school re-form: like Alfred North Whitehead and Benjamin Bloom, Cowan posits that learning begins with a “love-at-first-sight” experience, the awe and pleasure of grasping, on an emotional level, some new idea or image. What follows is a sort of “mapping” stage, in which a learner loses himself in the study of a field, attempts to master its various elements and learn all that has been studied before. Chr istensen, Clayton M., Michael Horn and Curtis Johnson. Disrupting Class: How Disruptive Innovation Will Change the Way the World Learns. McGraw Hill, New York. 2008. Christensen’s theories about how business are “disrupted” by innovations is interesting, and seems to make a lot of sense when applied to computers or airplanes. The main thesis of his book is that monolithic classroom education is being “disrupted” by a more individualized type of schooling, which will largely be made possible by on-line coursework. I agree that having one teacher deliver set curricula to age-grouped students is no longer appropriate pedagogy for the world we need to create. I’ve used some online courses, and in some cases, with some students, found them helpful. But we’re kidding ourselves if we think technology will solve our educational woes, anymore than it will solve climate change or cure us of all our health problems. Christensen, et al, paint a scenario in which children pick and choose from a variety of online courses, each with various learning modes so they can find the right way to learn. But they fail to consider that schools may have a larger role to play , beyond giving kids easy access to information. I’m not alone, I don’t think, in wanting our schools to foster wisdom, critical thinking, and creativity; to promote a deeper understanding of how to relate to and create with others. Online course are no more guaranteed to promote this type of collaboration than is traditional teaching. *Csikszentmihalyi, Mihaly and Isabella Selega Csikszentmihalyi, eds. Optimal Experience. Darling-Hammond, Linda. The Flat World and Education: How America’s Commitment to Equity Will Determine Our Future. Teachers’ College Press, NY. 2010. Dewey, John. The School and Society; The Child and the Curriculum. University of Chicago Press, Chicago. 1902 and 1915. Reprint. Originally published 1956. Edwards, Gandini and Forman, eds. The Hundred Languages of Children. 2nd edition. Ablex Publishing, Westport, CT. 1998. *Fox, Matthew. Confessions: The Making of a Post-denominational Priest. Harper, San Francisco. 1996. Highly readable and personal look at Matthew Fox’s unsuccessful struggle to find his place in the Dominican movement of the Catholic Church, a journey that ultimately led him to expulsion as he embraced a more humanistic, live-loving version of Christianity called Creation Spirituality (see below). *Fox, Matthew. Original Blessing. Penguin, New York, 1983. (Reissued in 2000). 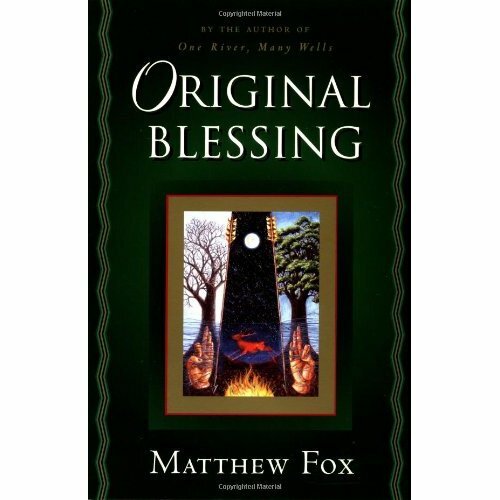 What does Matthew Fox’s groundbreaking work on spirituality have to do with school? Dr. Fox is the Academy for the Love of Learning’s visiting scholar for good reason: he offers, through this book and his life, a new vision of society, one that rejects the “dualisms” that are so deeply ingrained in the Judeo-Christian worldview (you are good or you are bad, you are a sinner or you are saved). Instead, Dr. Fox introduces the concept of “creation spirituality,” a new (actually ancient) way of thinking about religion as a way of celebrating life, embracing loss, finding expression through creativity, and pursuing justice and compassion. These four ideas–celebration, loss, creativity and compassion–are notably absent from many of our lives, even the lives of the religious amongst us, and so are also absent from our schools. I had the privilege of spending some time with Dr. Fox in Oakland in early 2012. I met him at a public school in a economically distressed neighborhood, where despite his international reputation, he was discreetly attending a community celebration of ecology and art. Over a free organic lunch in the cafeteria, we spoke about education and youth, and Dr. Fox’s own efforts to launch his A.W.E. after-school program, which sought to bring cosmos and creativity into the lives of young people. The program was struggling–typical non-profit woes–but Dr. Fox’s vision of children learning with compassion and wonder was vibrant and inspiring. I kept that vision present as I read Original Blessing, which is rich with feminist and social justice interpretations of religion, and offers far and away the most beautiful perspective on Christianity and Christ I have ever read. *Fox, Matthew. The A.W.E. Project. Gardner, Howard. The Unschooled Mind. *Greenberg, Daniel. Free at Last-The Sudbury Valley School. The Sudbury Valley School Press, Framingham, MA. 1987. *Greenberg, Daniel, Sadofsky, Mimsy, and Jason Lempka, eds. The Pursuit of Happiness: The Lives of Sudbury Valley Alumni. The Sudbury Valley School Press, Framingham, MA. 2005. *bell hooks. 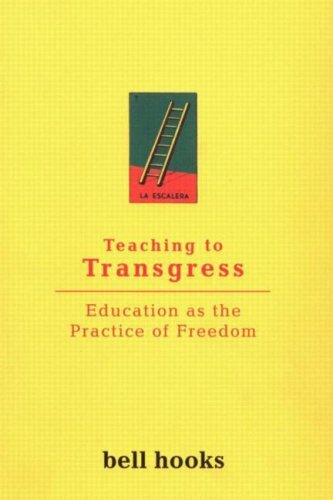 Teaching to Transgress. Routledge, England. 1994. Illich, Ivan. DeSchooling Society. Perennial Library, New York. 1970. Kapoor, Dip and Edward Shizha, eds. Indigenous Knowledge and Learning in Asia/Pacific and Africa. Palgrave Macmillan, New York. 2010. Chapter 6: “Animals, Ghosts, and Ancestors: Traditional Knowledge of Truku Hunters on Formosa.” By Scott Simon. The tiny Asian Tiger island of Taiwan (named Formosa, or “beautiful,” by Portuguese explorers) is today ruled by China but for as many as 6000 years has been home to indigenous peoples, including the Truku. Anthropologist Scott Simon spent time with them and wrote this lovely, very understandable chapter describing the cultural values and traditional education of the Truku, which for males centers around hunting. They follow a moral code known as Gaya, which prescribes how they should interact with nature, with their dead ancestors, and with the living people in their community. “Hunting,” describes Simon, “is a sign of masculinity, a source of prestige, and proof of one’s moral standing.” Through hunting, values, language and knowledge are passed from one generation to the next. This practice continues even today, despite generations of persecution and dislocation at the hands of Japanese and Chinese colonizing governments, and more recent restrictions placed on hunting in the name of tourism and nature conservation. Chapter 9: “Education, Economic and Cultural Modernization, and the Newars of Nepal.” By Deppa Shakya. Through interviews with twelve members of the Newar peoples in the hill region of Nepal, the researcher looks at how a centralized system of formal (book-based) education is steadily replacing the values and indigenous knowledge of this ethnic group. The Newars are not marginalized–many have risen to national prominence in law, architecture, education and other fields–but they do find themselves in a dilemma between embracing conventional education and jobs versus holding onto their indigenous knowledge and traditional vocations. Includes a brief description of how cultural values were transmitted though “learning by doing” in the past, via informal workshops, interaction with elders, and everyday use. Chapter 12: “Voicing Our Roots: A critical Review of Indigenous Media and Knowledge in Bengal.” By Sekhar Roy and Rayyan Hassan. A fascinating look at two non-school-based ways cultures in South Asia have transmitted values and knowledge between generations: the Jatra folk drama, which is something of a popular theater that has been around, in some form, since the 1300’s; and the mystical Baul music, which proposes that “a person has to look inside oneself to comprehend the idea of divinity” since “all the knowledge and secrets reside within the human body.” The authors indicate there has been some efforts to revive these forms as a way of resisting the cultural homogenization that comes with globalization. Kohl, Herbert. The Open Classroom. A New York Review Book, New York. 1969. *Littky, Dennis. The Big Picture. Education is Everyone’s Business. Murdoch, Iris. Acastos: Two Platonic Dialogues. Open Road. NY. 1986. *Perry, John and Kathy Perry. The Complete Guide to Homeschooling. Lowell House, LA. 2000. Petrash, Jack. Understanding Waldorf Education: Teaching from the Inside Out. Gryphon House, Inc. Beltsville, MD. 2002. *Diane Ravitch, The Death and Life of the Great American School System: How Testing and Choice Are Undermining Education. New York, Basic Books. 2010. Richards, Theodore. Creatively Maladjusted: The Wisdom Movement Manifesto. Hireath Press, Danvers, MA. 2013. Described in Post 19: Education Reinvented in Chicago. *Seidel, Sam. Hip Hop Genuis: Remixing High School Education. Rowman & Littlefield Education. Lanham, MD. 2011. Steiner, Rudolf. The Education of the Child and Early Lectures on Education. Anthroposophic Press, Barrington, MA. 1996. Originally published in German in 1907. Steiner, Rudolf. The Kingdom of Childhood: Seven Lectures and Answers to Questions. Anthroposophic Press, Barrington, MA. Translation 1982. Based on lectures delivered in Torquay in 1924. *Stevenson & Haberman. Ten Theories of Human Nature.